Oh how I love this! 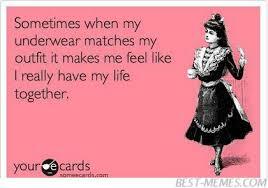 I am going to buy the bra I have been needing for a year! If I am not hearwhen it wears out, bury me in it!!! That’s the spirit! 😀 Thanks for being a faithful reader Kenna. Oh phew Sus! You really had me scared!! I’m so glad you’re still here too… I hate many things about getting old, w all my ailments, aches and pains. But then all I have to do to cheer myself up is think about the look on Eli’s face when he’s running to me! Melts my heart! Love the new bra!! You crack me up about the wires!! I’ve had them poke out too, and they hurt! If there was ever a club for women who are able to whip their bras off in a snap, without taking any clothing off, I’d be proud to be voted President!! It’s quite an achievement! on Eli’s face when he comes running to me!! Melts my heart. If there was ever a Bra Club for women who can whip their bras off in a flash, without taking any clothing off, and all the diff places we’ve done it, I’d love to be President!! But girls don’t tell, so I just smile, proud to be one in a crowd who can! You cracked me up! I also have had the darned wires sticking out, try to put them in hoping no one was looking.. they’re painful! Oops! Part of my note posted twice! Congrats on your special achievement Nancy! 😀 Google: “memes bra” some day when you have nothing better to do….with your special talent you will appreciate some of them. Thanks for stopping by to read my post. Be well my dear friend! I am praying for you Susan-We can never give up! I am a Sjogrens Warrior, with lots of other problems associated with this ugly disease. God Bless you-Love and hugs- Lisa Kirby! You are an inspiration! Suzanne, loved this blog because laughter makes living more pleasant… Not knowing too much about Bra wires… are they strong enough to bend into a hanger that might be useful??? if so, I would be pleased to add them to my collection of “garage treasures”… I inherited that quirk from my Dad… never know when I might need this… why just yesterday used a part of an old ball-point spring to fix the wings on one off your Mom’s angels… it is now as good as new! To the more serious issue of living… speaking for myself, I believe that looking ahead is quite healthy… to quit doing many things because one fears death is one of the most useless things one can do… for example in my case to stay home because I might die if I go on a trip of some kind is totally ludicrous!!! so I best do something about it! Just like you must get those new flip-flops with the goal of wearing them out!! By the way are there any go pieces that might be saved from your old flip-flops… leather washers are easy to fashion out of old footwear or leather belts! Just saying! Dad, tragically the underwire was put into the trash. hahaha And my old flipflops and leather sandals are still good so you won’t be getting those either! 😉 And yes I too believe, if you are still healthy enough and have the means and desire to travel, then one definitely should. I actually started a draft of a poem on that topic the other day, it is for a poetry book I am working on. I’m a new reader (but an old writer… ok, middle-aged writer) with Sjögren’s, and you really did make me laugh out loud with this piece! Thanks for the chuckle – it was a nice minute of being a woman alive! Yes, I understand why some of my posts might be difficult for you to read, likewise for other people who know me well……I was really thinking about putting a warning on the top of this post because I thought it might bother some readers. But then I just posted it; then I received some very concerned messages from a few people so that’s why I added the P.S. later. When I decided to start the blog I wanted to ensure I wrote with my authentic voice, and what is interesting is the posts that come from the deepest parts of me are the ones readers have responded to the most. Though they may be difficult to write sometimes, or difficult for loved ones to read, the authenticity is important to me. There is never anything clever or funny to say when someone is contemplating their own demise. The older I get the more I contemplate. You are right — none of us know when our chit will fall from our ballot. Until then, buy red bras, sparkly sweaters, and anything that makes you feel good. Love to you. Get the bloody sandles and turn the heating up! 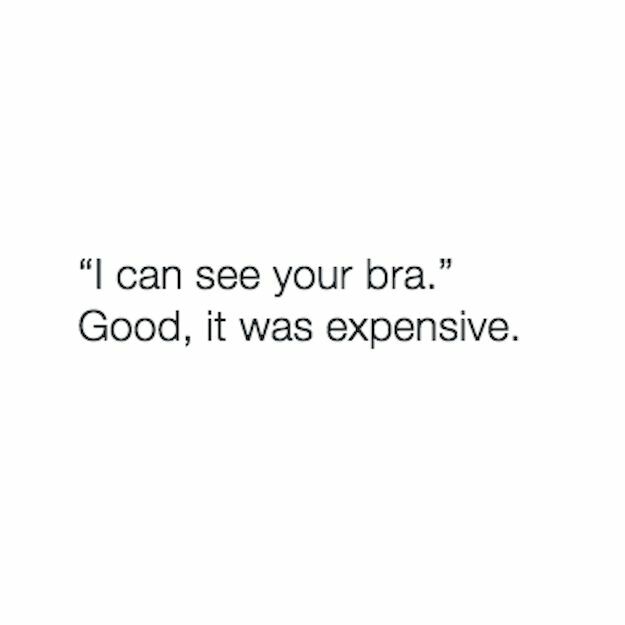 If they’re as good as that bra, it’ll be worth it!